In Slovenia you will find 14 certified natural thermal and health resorts and hundreds wellness centers, besides the few we will name here. If you are searching for a wellness vacation, you cannot go wrong picking out Slovenia… it has so much to offer. 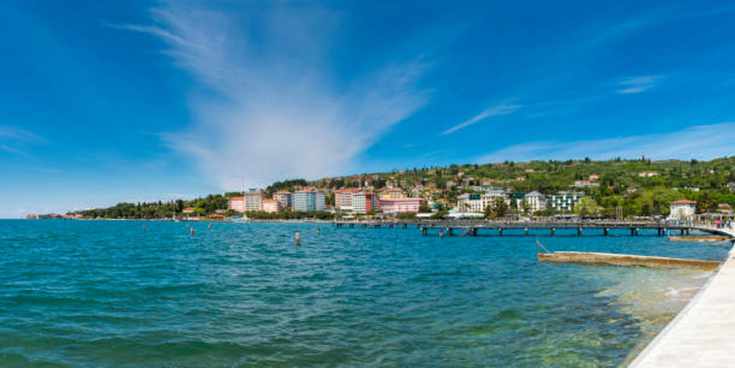 Portoroz and Strunjan accomplish the combination of wellness and health holiday with the holiday by the sea. Thermal Recreation Center offers covered swimming, saunas, a sun terrace, a tepidarium, a fitness studio and a play area for youngsters. Nearby you can savor a challenging game of tennis, drill your golf swing at the local driving range or relax with a game of mini golf. You can even walk along the beach at sunset and enjoy the Adriatic seacoast. The Wai Thai Center for traditional Thai massage is also located here. Specially educated Thai massage specialists can provide variant types of traditional massage, suited to your individual needs. The floating chamber and solarium are interesting treats, as is the steam sauna. The in-house beauty center proposes natural treatments for your face, hair and body. 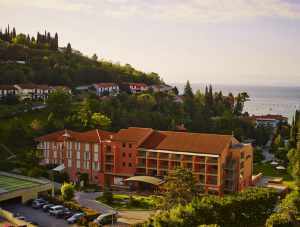 Check the Grand Hotel Portoroz – Terme & Wellness LifeClass. 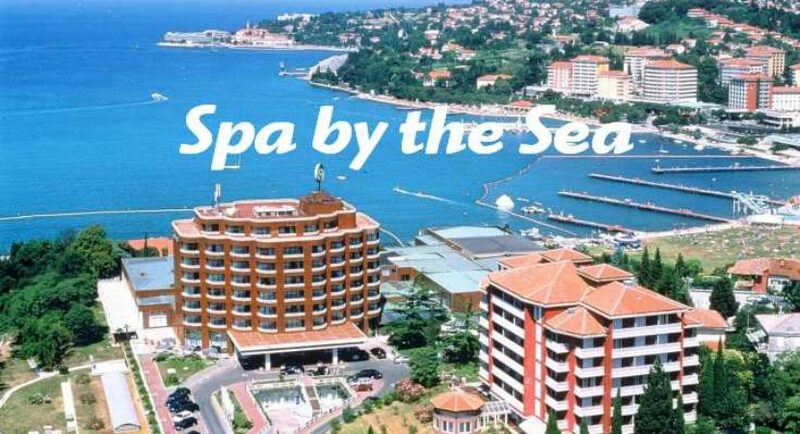 One of the biggest spa and wellness centres in Europe, covering more than 10,000 m2, the LifeClass Terme & Wellness Centre in Portoroz on the Adriatic coast is a sensational destination for anyone who loves spas. Rarely, for a coastal spa, it also features seawater pools for the ultimate luxury. No Slovenia holiday would be complete without a dip in its jewel-like thermal pools, extensive massage and treatment centres, with an incredible range of spa experiences available, from Ayurvedic to Thai, Thalassotherapy to Turkish baths and steam rooms. I tried an Ayurvedic massage experience here which was out of this world, and my first experience of this culture’s spa treatments. My masseur selected oils and recommended herbal teas for afterwards according to my likely dosha or body type. Ayurvedic therapists focus on clearing the energy channels in the body, moving and dislodging toxins, and balancing the chakras, performed here in original and exquisite Indian surroundings, administered by experts from southern India. 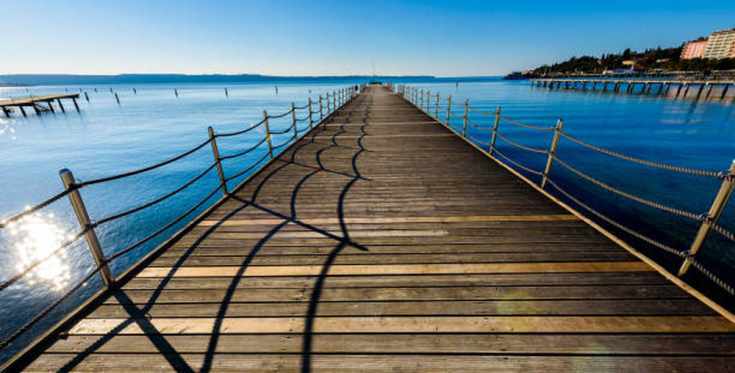 Built-up between Portorož and Koper you can discover the Strunjan Health Resort, which is a section of the Krka Zdravilišča group that also owns Dolenjska Toplice. Offering specialized seaweed treatments and thalasso therapy (a combination of seaweed, sea fango, seawater and the Mediterranean clime), they will perform a custom program precisely for you. 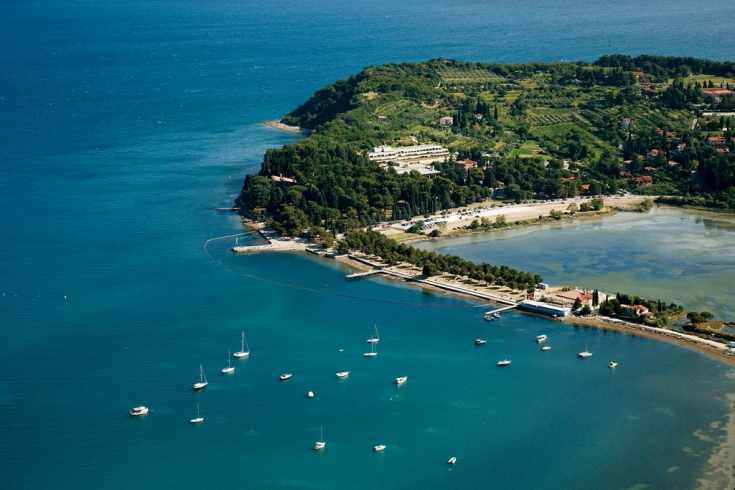 Visit the renowned thalassotherapy centre on the greenest part of the Slovene coast, in a protected landscape park, a place where hiking and many other trails meet. The place with 2300 hours of direct sun radiation a year offers you everything needed for a tranquil holiday as well as countless possibilities for active time off. Seawater not only provides pleasant refreshment but also affects the body in numerous positive ways through its mechanical characteristics, temperature and chemical characteristics. An additional positive effect is provided by the reflection of sunrays, especially the ultraviolet ones. Due to its chemical composition and temperature value seawater is mainly used in the summer for bathing, while in winter we can heat it up to a certain temperature and use it to fill the indoor pools and for its balneological properties. 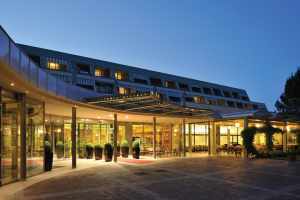 The hotel is the central facility of the marine spa complex, situated 403 m from the coast. Enjoy the luxury of comprehensive spa and medical facilities under one roof. The hotel has indoor and outdoor swimming pools with heated seawater, saunas, a fitness room, a health and physiotherapy center and the Salia Spa Center. The self-service Marine Spa Restaurant offers a varied Mediterranean and fusion-style cuisine, that will satisfy even the most demanding gourmets. After a day full of new and lasting memories you can spend a peaceful night in your nicely furnished room. The natural methods are designed to restore and maintain inner harmony and balance, which depend on the flowing, uninterrupted flux of man’s vital energy, Chi. Center Syra is intended for prevention and for energy treatment. Using various methods, qualified therapists will help you regulate the effect of this energy on spiritual, emotional, mental and physical levels in order to give you a feeling of well-being and to strengthen your immune system. Strunjan offers you a chance to find a feeling of the endlessness of the blue sea. You can get a swim in the clean sea or pools with heated seawater, and take it easy on the attractive beach.